The problem with the stores/restaurants in Rockville Town Square that are closing is that they are not good. 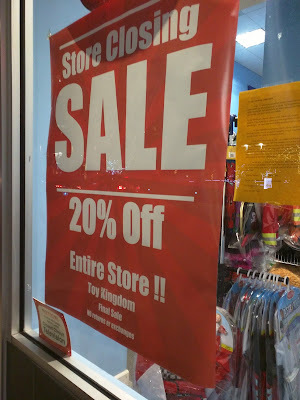 I entered to this store three times and the toys were very expensive. Also I passed several times in front of it and it was closed. I was wandering how a store like that was able to survive for so long. The demand of new business is there, but we need better quality of business. Something similar as what is happening in south Rockville (Pike & Rose) - Good business/good restaurants - more people going there. Other example is La Limena restaurant, the original location is very bad, but the quality of food and service are great. The people go there because the good food and not because the location. I hope we have better business opening soon. We really need better quality of places. Another restaurant that just opened and I think it may close soon is Pandora Seafood House & Bar. Very pretty place, the food nothing special and expensive. Location and decoration help, but the combination of these factors is the success of any business. Any of these places will not continue to be opened in any other location in the world. Climbing rents are proof of MoCo's moribundity. Five articles in the past seven days, and four of them are about Federal Realty properties. Is parking still the big complaint by the businesses in town square? One thing's for sure... once you get a $40 parking citation for going one minute over the meter, you NEVER come back. 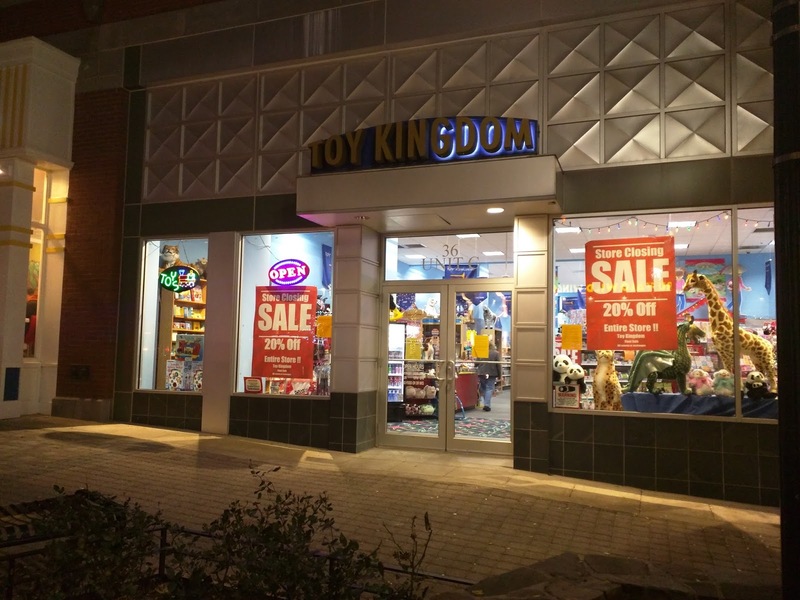 I'm shocked that Toy Kingdom stayed open this long. As far as the first comment is concerned, "toys were very expensive..." Of course they were, they have to be to try and make the Federal Realty failing business model work, which is HIGH rents AND a percentage of the store's monthly gross revenues. The ONLY businesses that MIGHT have a chance are large franchises (Chili's, Buffalo Wild Wings, etc.)... BUT even they don't have a chance, because Rockville Town Center foot traffic is insufficient. I would still like to see this blogger do a comprehensive post regarding the history of turnovers in Town Square. It seems that the number of businesses that have failed or moved out, is way beyond the national average. Agreed! That is a very good point that the city should be looking at closely. Unless they money they make from Parking Meters will cover the rent for all of these businesses, they should stop charging on nights and weekends. That is the only chance to increase foot traffic and thus, help sustain any business in RTC. Why does this blogger need to do a comprehensive post? Why can't you do it? OMG What's wrong with you? thats it? did you want to finish your thought?